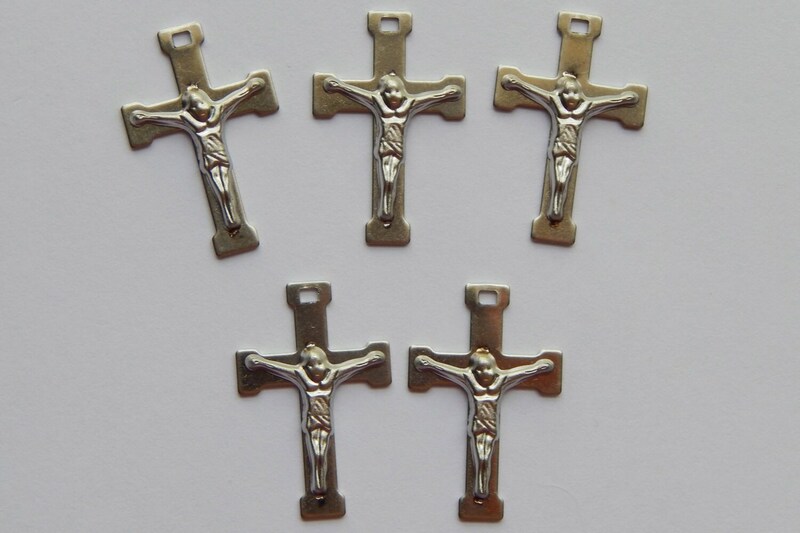 Medium sized rosary finding charms / crucifix is made from silver colored stainless steel metal; and is lead-free, nickel-free, and cadmium-free. 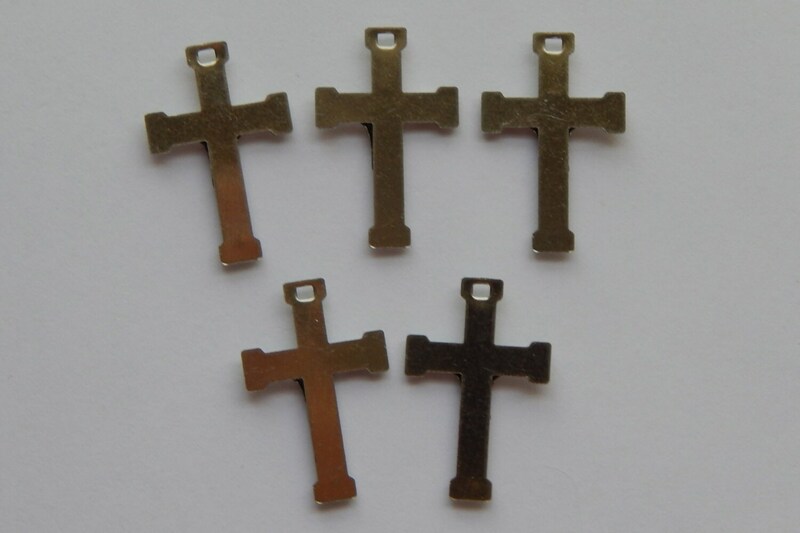 Pendants are single sided, detailed on the front with a plain back. Simply styled. 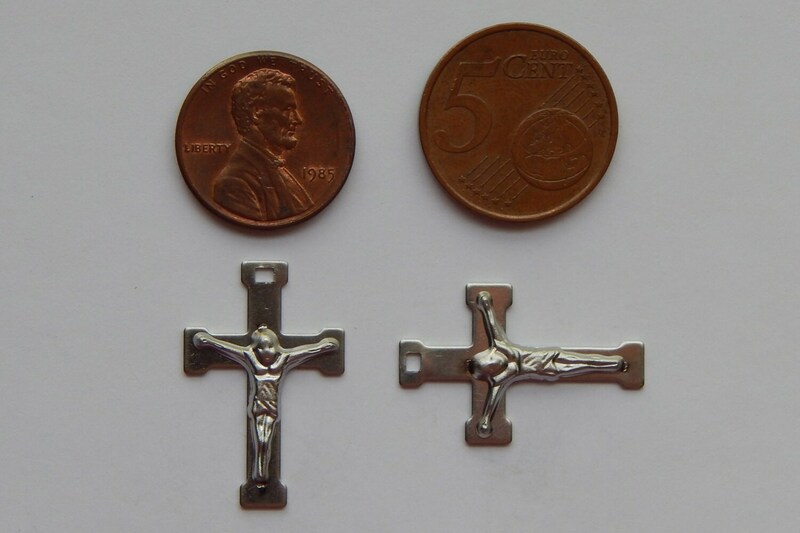 Each piece measures 26mm long x 17mm wide x 2.5mm thick, and the attaching ring has a hole size of 2mm x 1.5mm. Raised detailing of the body of Christ. 1 piece. All shop items are in-stock and ready to ship from the United States within two business days. 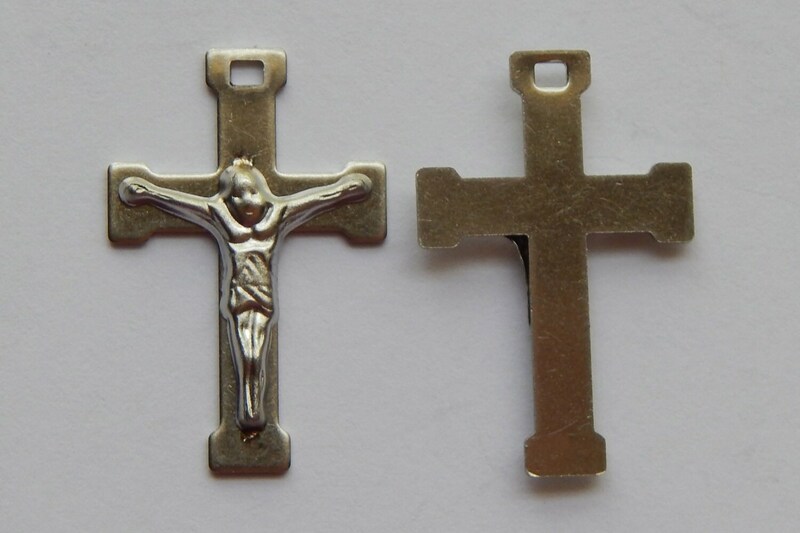 Size/Measurements: 26mm long x 17mm wide x 2.5mm thick, and the attaching ring has a hole size of 2mm x 1.5mm. Stainless steel metal is lead-free, nickel-free, and cadmium-free. Image of Jesus on the cross. 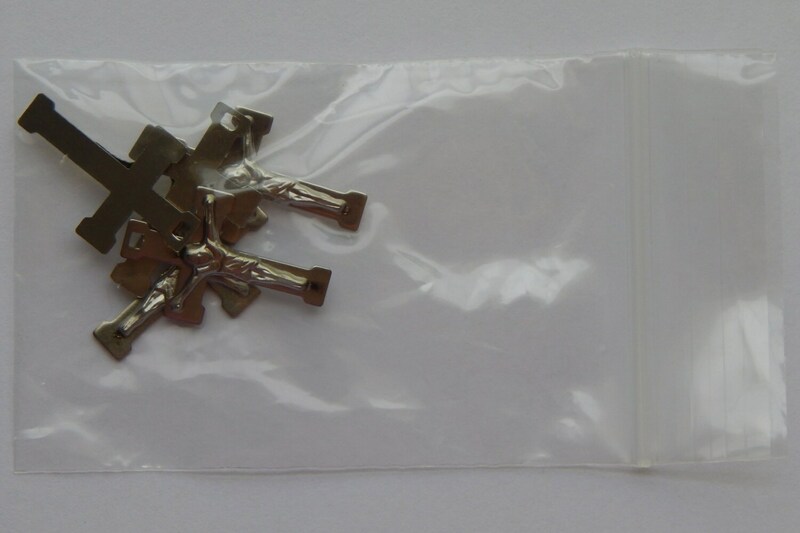 Pieces have been checked to ensure good quality and to remove defective pieces.